A collaborative project aims to support farmers with locally relevant weather and climate information for their daily on-farm decisions as well as making sure they know how to make the best use out of it. The project goes under the name Participatory Integrated Climate Services for Agriculture (PICSA) approach and is carried out in collaboration with the Walker Institute at the University of Reading and the CGIAR Research Program on Climate Change, Agriculture and Food Security (CCAFS). 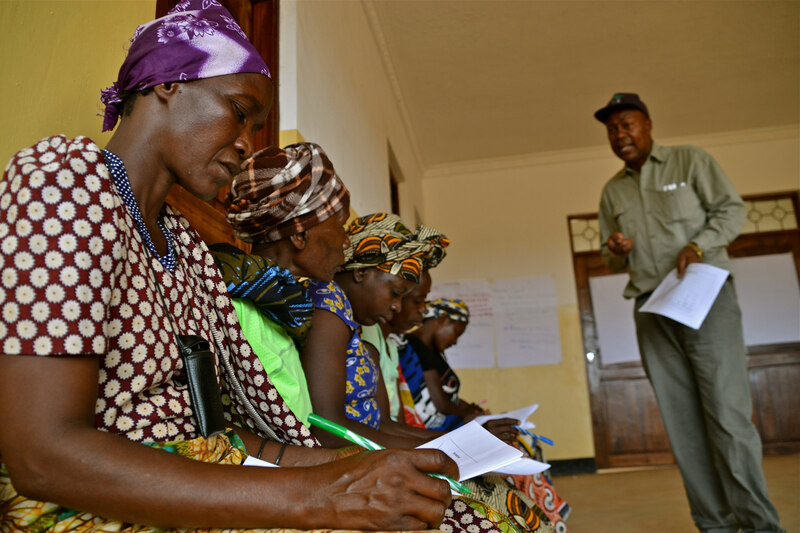 The PICSA approach uses locally relevant climate information and data and participatory decision-making tools to enable small-scale farmers to improve their resilience under climate change. Walker Institute and CCAFS are developing ways to disseminate local climate information using the PICSA approach by training local climate communicators, or intermediaries, who can train farmers. The 'training-of-trainers' activities particularly target intermediaries who are already working with farmers, such as agriculture extension agents. These agents have the experience and commitment from which the project hopes to learn and which it seeks to incorporate into its activities. Several training workshops have already been organised jointly by CCAFS and the WFP as part of the Global Framework for Climate Services (GFCS) Adaptation Program in Africa. A recent workshop was held in Malawi, supported by the Department of Climate Change and Metrological Services (DCCMS). Participants came from the Ministry of Agriculture and Concern Universal in the Balaka District, the Malawi Red Cross from Nsanje and Lilongwe Districts, as well as one participant from Farm Radio Trust in Lilongwe. The recent trainings in Malawi gathered 80 participants and included a field activity in the Balaka district. Here the group used the outlined PICSA tools such as drawing resource maps, seasonal calendars, outlining participatory budgets, and calculating historical climate data to get probable seasonal rainfall totals and planting days for crops together with farmers. The extension agents will now go on and work with thousands of farmers by targeting 2,500 households in the various Malawi districts for a more food-secure future. Join an online live-stream launch of the PICSA Field-Manual on 28 October, 14.00-15.50 GMT. Sign up to join the webinar and join the conversation on Twitter using #PICSA. Learn more.